As I was in my shop this morning, putting the finishing touches on a set of irons that I had just built it hit me like a ton of bricks. Today is May 8th, and that means I am exactly 2 months out from the Beaverhead 100k! Now I wouldn’t say that I had a moment of panic or anything like that, but I will say that my heart rate increased by a few beats. Like Summer talked about in her “Primal” post, after I ran the Bandera 100k in January we as a family made a mindful decision to change the way that we lived our lives. Not only the way that we ate but how we trained, slept, and everything else. As part of the lifestyle change we have both aligned our running/endurance efforts to follow a “Primal Endurance” protocol. To be super brief, you slow down and stay below a certain heart rate to help build up your aerobic system. Becoming a fat burning beast in the process. Its been a bit over 4 months now and I can say without a doubt that I personally have never felt better. I have been really trying to take it slow and build a solid aerobic base since Bandera. The results are starting to show in my daily commutes but best of all is how much better I feel physically. I am recovering faster after a hard effort and feeling eager to go out on the next run/workout. So with all of that being said, its GO time! I’m in the position that I had planned to be in at this point in time. I feel fully adapted to the dietary changes that we’ve made and my fitness is the best that its ever been. Time to put in some miles. With Lake Atalanta being closed due to flood damage and my every day access to some dirt trails being gone with it, I have no choice but to turn to the Greenway for some distance. To be honest it feels like perfect timing to switch things up a bit and put up some big weeks. At the end of the day getting entry into Beaverhead has just been a bonus in my build up to the Arkansas Traveller 100. The Traveller is what my year is all about, the rest is all just training for the Traveller. Running a big mountain race, that’s at elevation, can only help me reach my sub 24 hour goal in October. 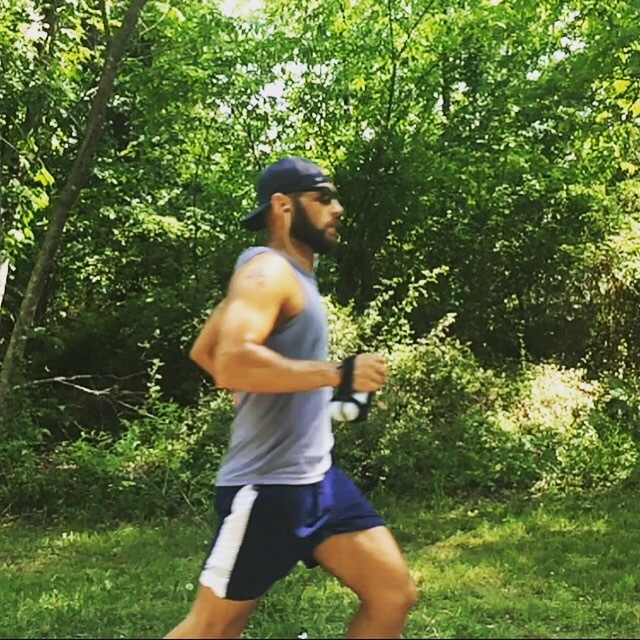 I have been running 20-30 miles a week during the last four months of base building. The plan is to ramp up the mileage and get a few 60-70 mile weeks in at the beginning of June. Then start a gradual taper 2-3 weeks prior to going to Idaho for the race. Assuming that all goes as planned I will take a week off and basically repeat the same 2 month process for the Traveller. I do plan on increasing the volume on the big weeks up to 80-100 miles before tapering down to toe the line at Lake Sylvia. When it’s all said and done its going to be a long push but I feel healthy, rested and ready. Thank you – Ruhn Co., Carson Footwear, Wiivv, Runmino, Ampla Sport – you are all amazing.